2 Bedroom Mobile Home For Sale in Colchester for Asking Price £40,000. 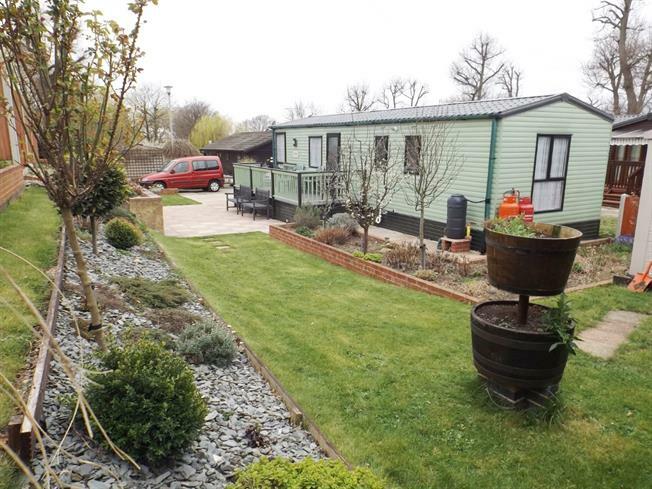 Two bedroom mobile home situated in Great Bentley. Entrance in kitchen area then opening out to the lounge dinner. Inner hallway with doors to both bedrooms ,bath/shower room. Bedroom one has its own toilet on-suite. Exterior the is a decking area, lawn flower and shrub beds with two storage sheds and parking area. UPVC double glazed door. Double glazed uPVC window facing the side. Vinyl flooring. Roll top work surface, fitted and wall and base units, single sink, integrated oven, gas hob, overhead extractor, space for dishwasher, space for. UPVC double double glazed door. Triple aspect double glazed uPVC windows. Radiator and electric fire, carpeted flooring. Double glazed uPVC window with obscure glass facing the side. Radiator, vinyl flooring. Low level WC, roll top bath with mixer tap, shower over bath, wash hand basin with mixer tap. Double glazed uPVC window with obscure glass facing the side. Radiator, vinyl flooring, built-in storage cupboard. Low level WC, wash hand basin.